camera (Doug MacMillan) A note affixed to each item gives simple instructions on what to do. The bitter cold temperatures taking over many towns and cities in North America have prompted a pay-it-forward scheme to help strangers keep warm. 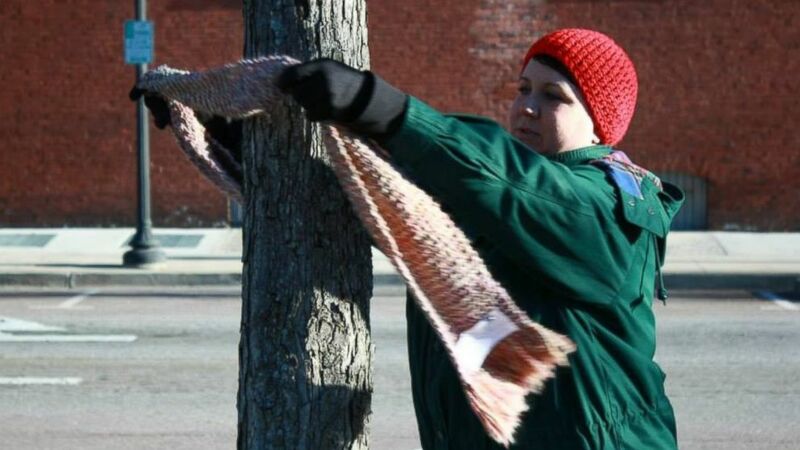 The practice of tying hats, scarfs, mittens and gloves to trees, with a note explaining that the items are there for the taking, was started with a "scarf bombing" in Easton, Pennsylvania. 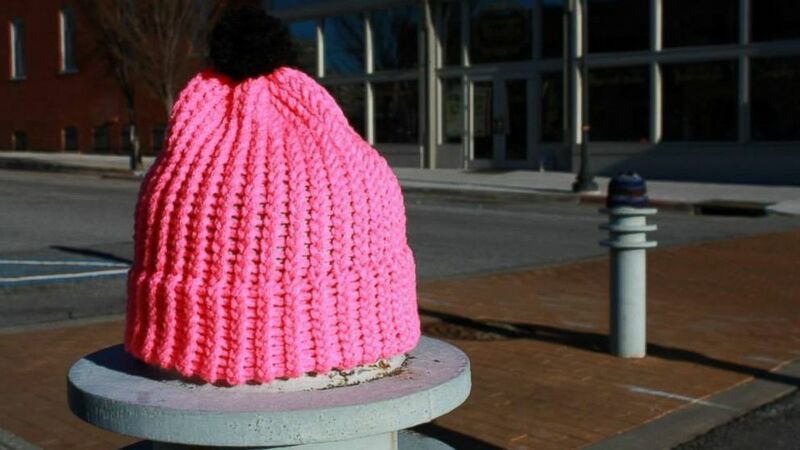 The Facebook group called Chase the Chill, the Original, describes itself as "an annual graffiti/yarn bombing event that distributes scarves in public places so that those in need — regardless of income and without any qualifiers — can help themselves." The do-good group has spawned several Chase the Chill organizations in other cities. 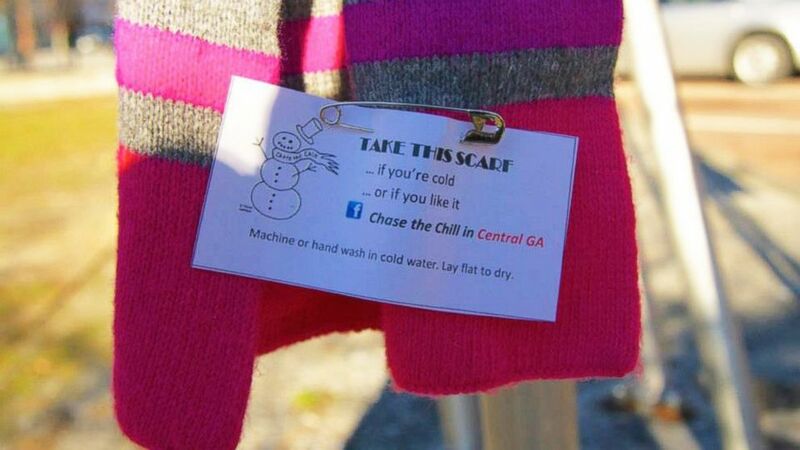 The most recent is Chase the Chill of Central Georgia, which hosted its first event Saturday. Founder Carrie Sexton called it a "complete success." 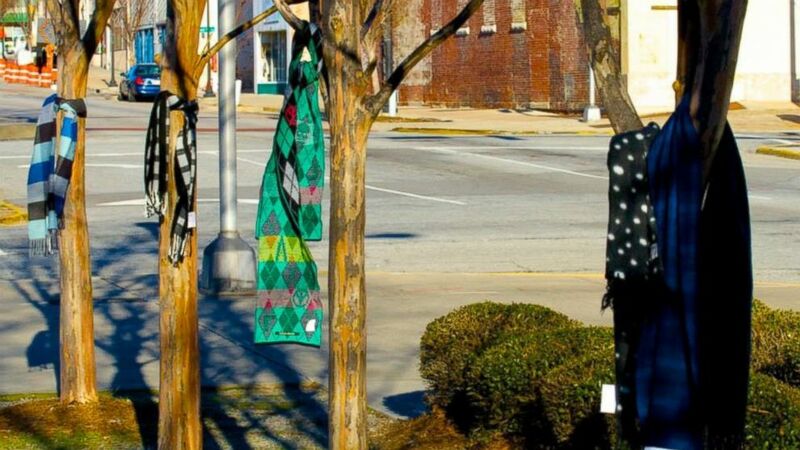 (Doug MacMillan) Chase the Chill of Central GA tied 144 scarves to trees for the taking. Of the 144 scarves and a few hats the group collected and distributed, only four were left Sunday. (David Sexton) The group included a few hats among the giveaway event. Sexton said she was inspired to start her own group when she saw a photo on Facebook posted by the original Chase the Chill Group. (David Sexton) Carrie Sexton ties a scarf to a tree during her Chase the Chill of Central GA's first event. There's a group in Chillicothe, Ohio. The project has also spread to Canada, with groups formed in Ottawa, Edmonton and Winnipeg. "I truly hope that people pay it forward with a good deed," Sexton said. "At least one person has already done that. On Sunday when I collected the remaining scarves, I found a hat tied to a post that I did not put there."